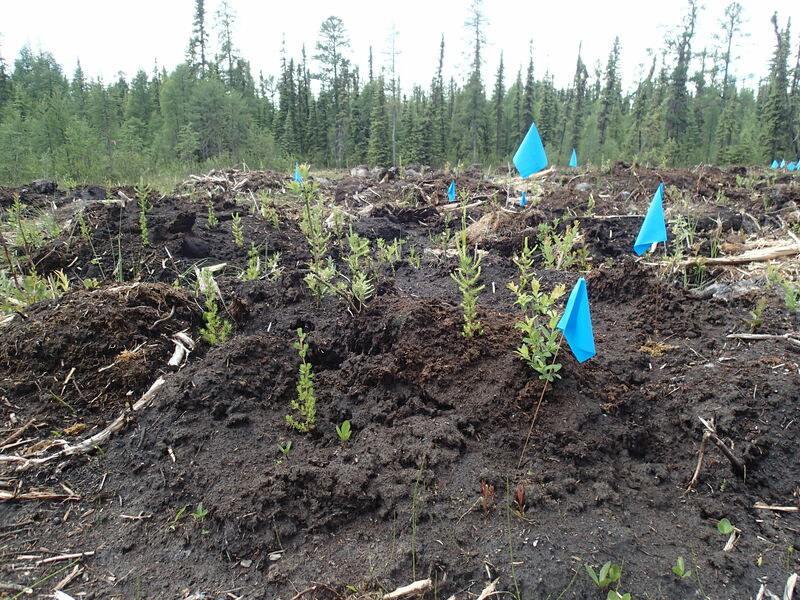 The preservation and re-vegetation of Alberta’s boreal forest wetland ecosystems are priorities for oil sands producers whose operations cause surface disturbance to these areas. 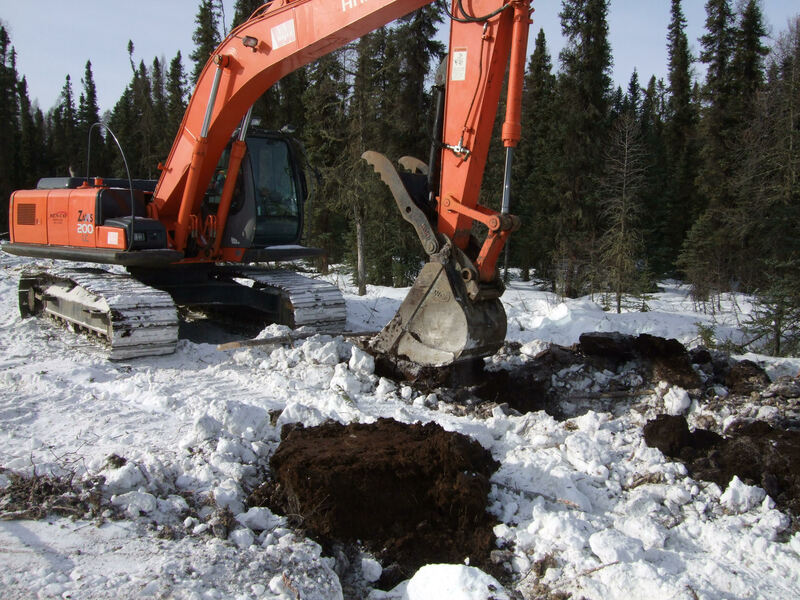 Thawed peatland is soupy and sensitive to disturbances, which makes these areas difficult to access for reclamation activities in the warmer months. 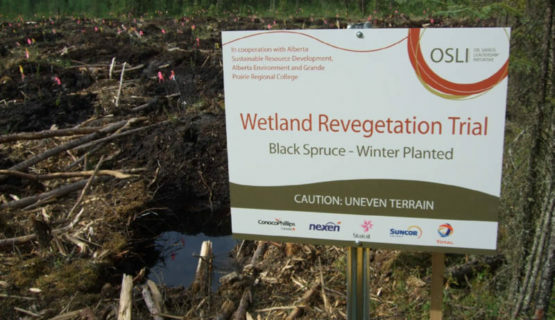 Disturbed wetlands often have altered surface water patterns that are inhospitable to some vegetation. 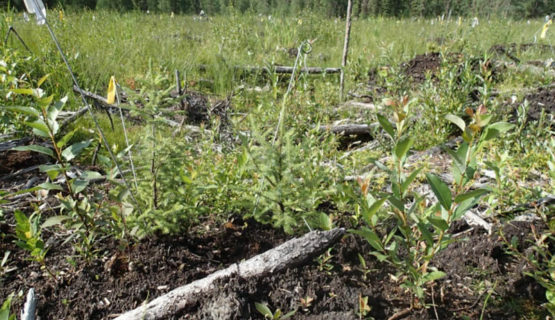 This is why many seedlings planted during warm seasons do not survive long-term. 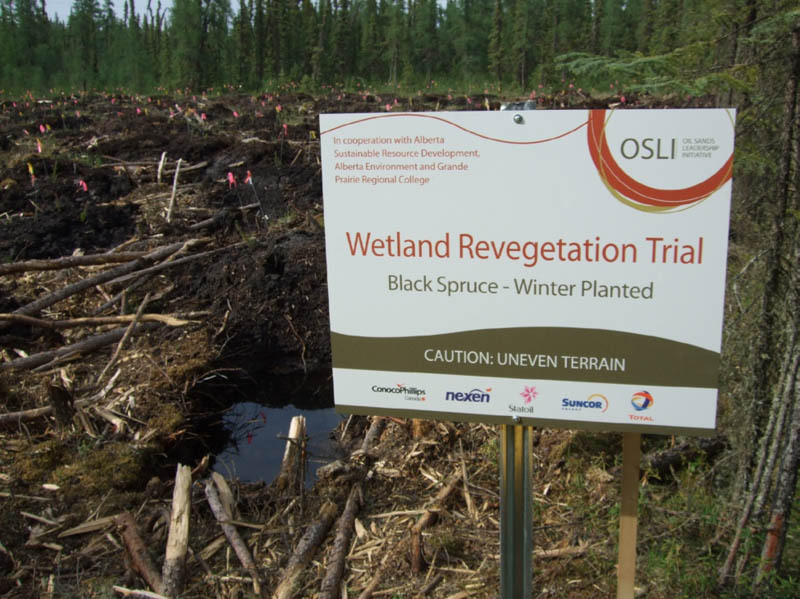 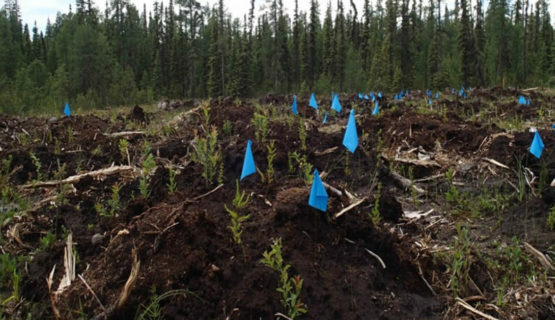 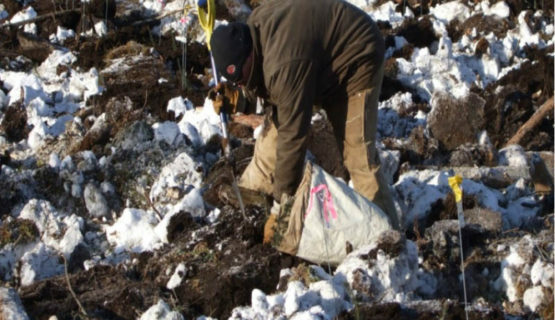 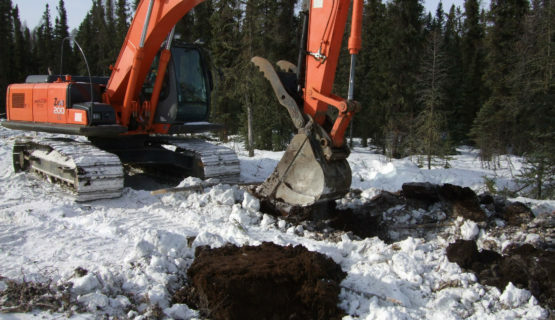 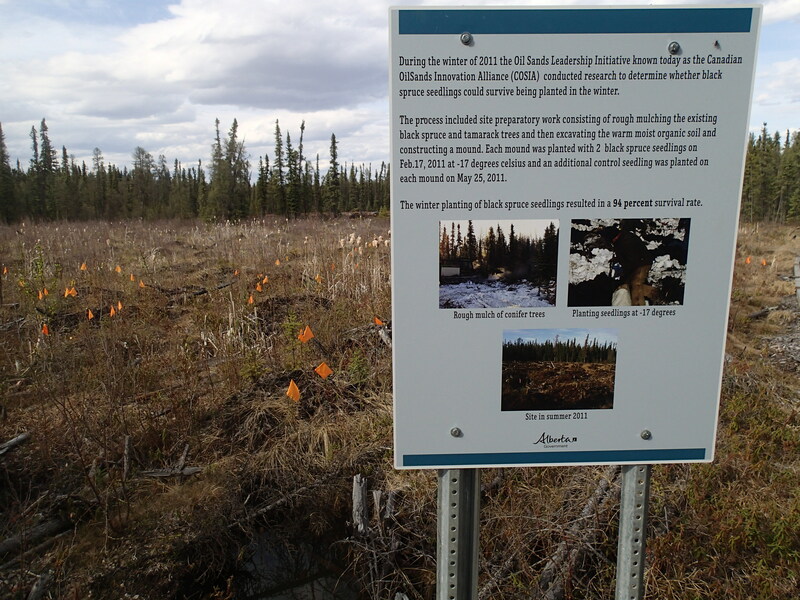 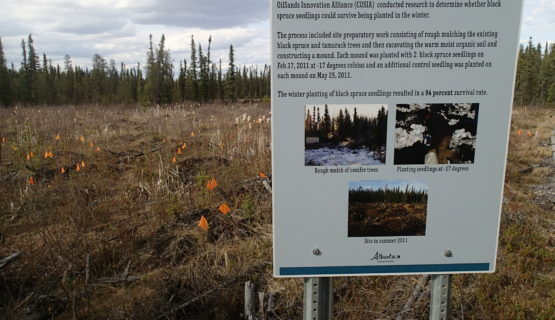 In February 2011, oil sands producers including Nexen, Suncor, Total, Statoil and ConocoPhillips, represented by the Oil Sands Leadership Initiative (OSLI), conducted a winter wetland planting trial in Alberta’s boreal forest. 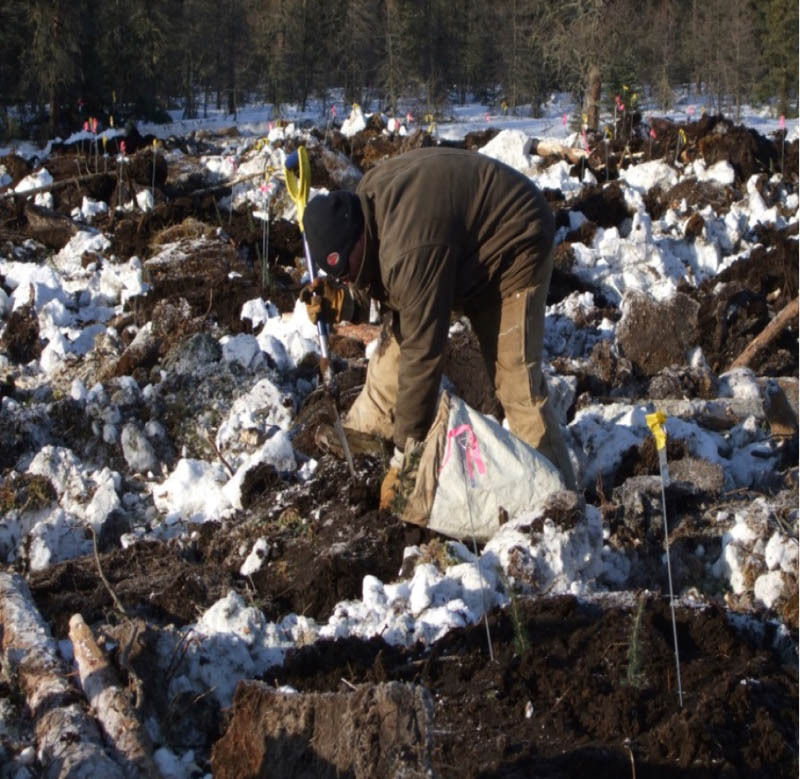 With temperatures hovering between -17 °C and -25°C, the companies planted 900 black spruce trees at the Evergreen Centre. 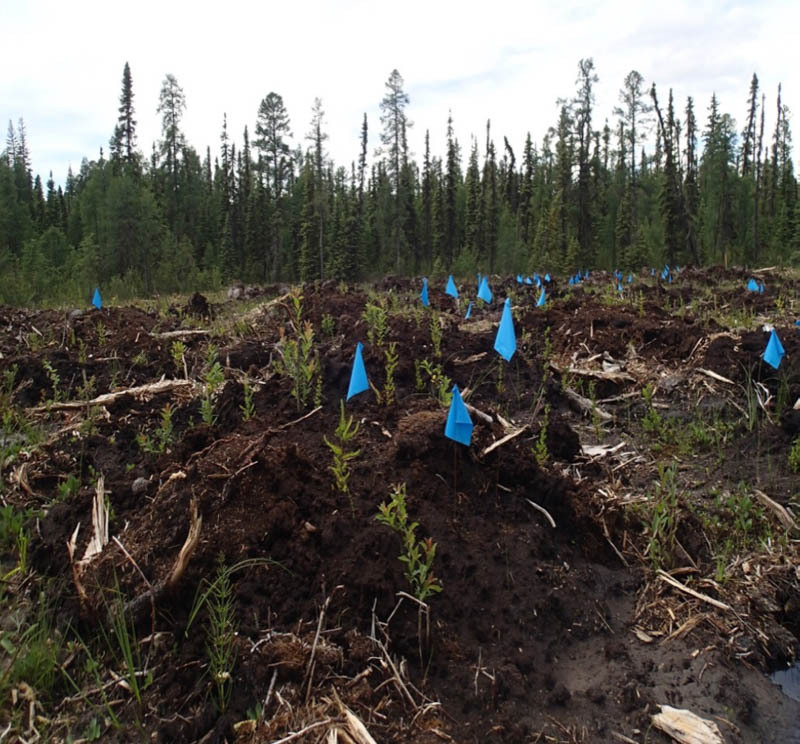 This trial involved planting a non-commercial native species in a wetland area. 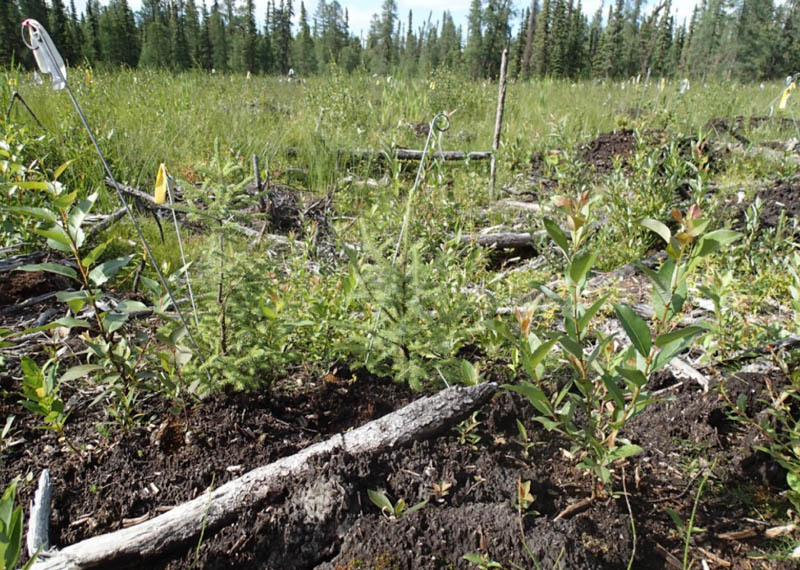 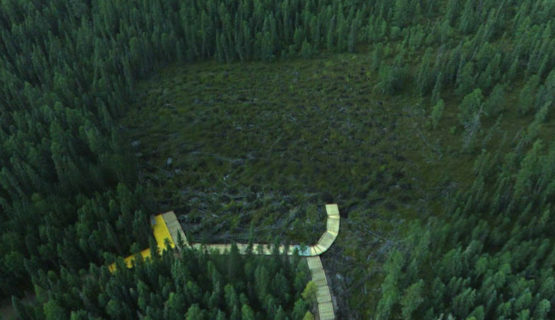 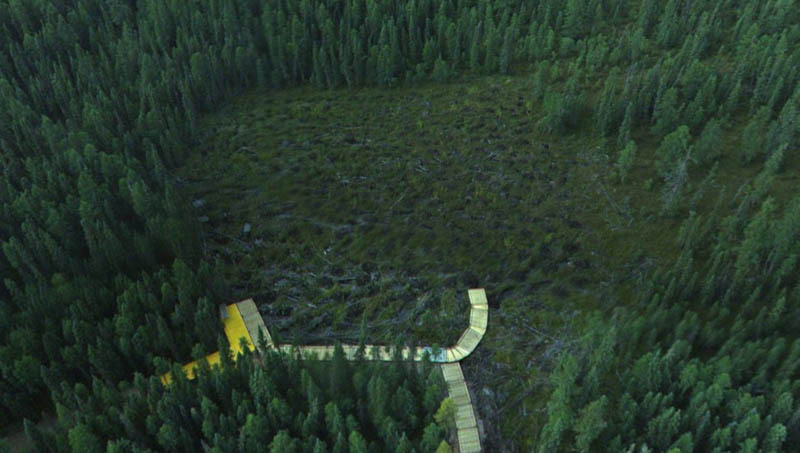 Results recorded during summer 2011 indicate that more than 94 per cent of the black spruce trees survived. 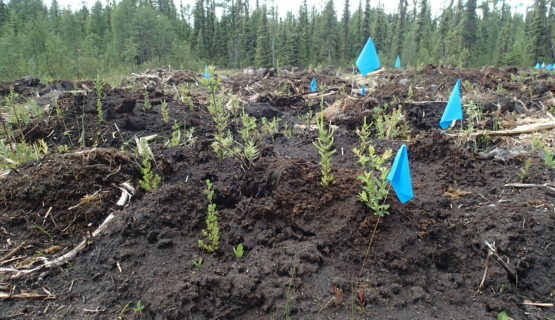 The success of this new technique will greatly increase the industry’s ability to reclaim similar ecosystems in the future.